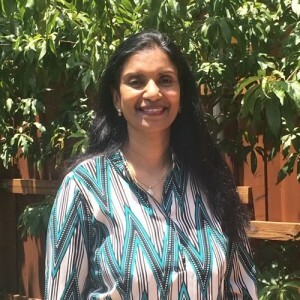 Mallika Ramachandran lives in Plano, TX with her husband and 2 children. Mallika hails from a line of 3 generations of teachers. She has won gold medals for her overall academic performance as well as for Math at the university level. She has also won several “best teacher” awards during her career as a teacher. Recipient of several Best Teacher awards while working as a teacher and head of the department in a college in Philadelphia. The gift of food is great indeed, but the gift of knowledge is paramount. While satisfaction gained from food is only temporary, knowledge can bring a lifetime of satisfaction. After years of experience as an Architect and a Finance Executive, I have finally understood my passion – to TEACH. Develop a bond with the students and derive joy from their successes. Make a lasting impact in the lives of students as a teacher, mentor and friend.